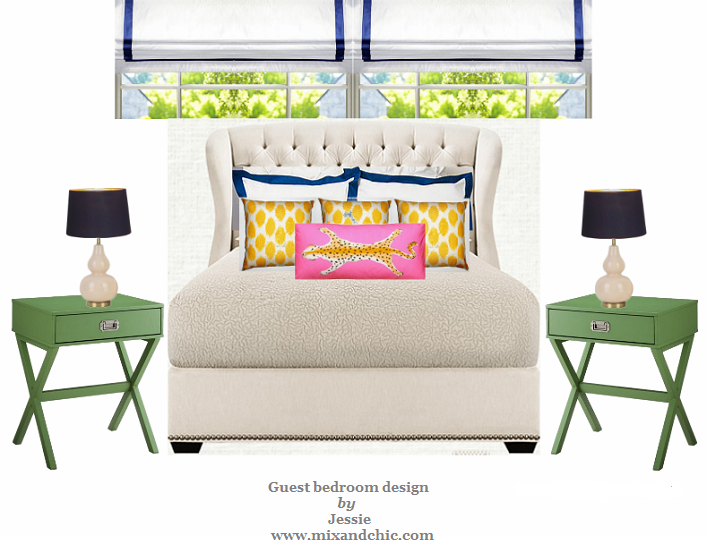 Mix and Chic: The One Room Challenge- Week 2! I can't believe it's the second week of The One Room Challenge already. 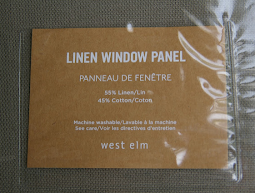 You can read about the first week of The One Room Challenge here. This week, I promised to show you my art decal project. Ta-dah, here they are! What do you think? I thought the wall decals are so much fun and they are on clearance for only $12.99 (for all the decals you see above). I am not sure where I will use them when I bought them a while ago. 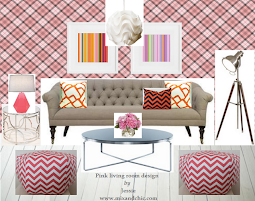 Now, I am planning to put them on the striped wall aka The Focal Wall (below). I have to admit that arranging the decals on the canvases were quite fun albeit quite time-consuming. While this seemed like a good idea at first, I found out a few days later the decals wouldn't stick to the canvases properly, a concern I had before I started this project. I tried putting some glue on the parts that started to peel off but they don't work. I guess I will need to find a stronger adhesive. Perhaps using a super glue might help? Any good suggestions? I really hope to fix this so I can put them on the focal wall. This week, I am planning to work on the branch mobile so hopefully, you will see it next week! 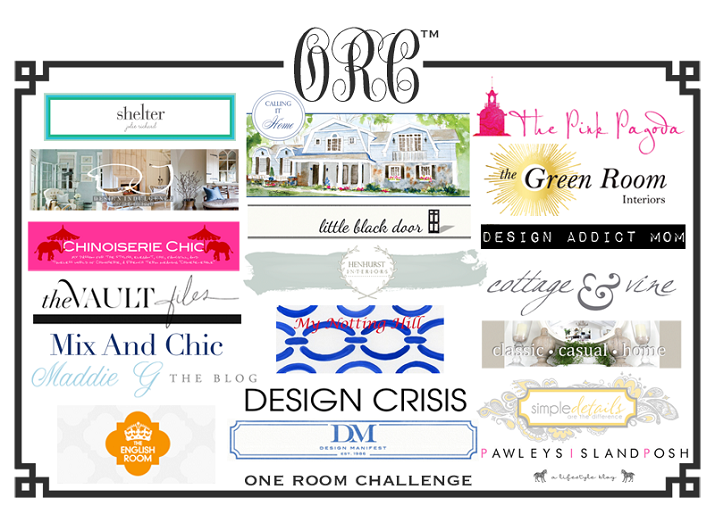 Don't forget to check out the rest of the participants from The One Room Challenge below! P/S: Don't forget to enter my current giveaway for a chance to win a set of gorgeous velvet pumpkins to complete your fall decor! Hurry, today is the last day for entries! Love your arrangement of decals - so fun! Cute decal! Good luck with the adhesive!!! Oh, don't you hate that! I hope it works Jessie, it's such a cute idea! Very clever idea.....hope you find a product that works. Jessie, they look sooo cute! And perfect accent to that wall! So frustrating, but it will be very cute. Jessie..its going to look adorable...cant wait to see the progress next week! So cute, Jessie! Your son will love his room! I am no help, but I'm very curious to see the finished result. Very fun accent for a kid. If you try super glue do you have decal material you can test it on? Super glue can sometimes eat through stuff. Maybe try a spray adhesive used for plastic and also spot test it as well justto make sure it doesn't damage your items. Oh no...nothing like finding out something doesn't work after spending lots of time on it. I'm sure this will all be darling when you are finished. still love those stripes! I think we have that same green lamp, I used it in Wells' nursery! Love the striped wall! Can't wait to see it all come together!! The decals are so cheerful! Did you try a spray adhesive? That lamp is great, too; I love the shape. Looking forward to seeing more! Oh no Jessie! All that work. I am sure you will figure out something cause they sure are cute! So cute, your son must be excited! The decals are adorable, Jessie! That is a great focal point for a boy's room .How fun. wow, this is fantastic! can't wait to see how it turns out! I agree with the Modge Podge suggestion. First paint your canvas, add the decals and paint more Modge Podge over it. It dries clear. Of course you want all the art to be alike, so take that into consideration. Good luck! How fun! 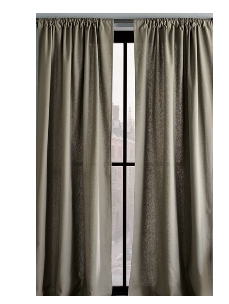 Loving these and they're perfect for a boy's room! They are so stinkin cute!! Totally use Modge Podge, that stuff sticks to anything and you can get it in different sheens (glossy, flat...) Just sand between coats for a super smooth finish.